For this special Halloween edition of Café Inquiry, Dr. Sullivan has dug up some intriguing theories that try to explain the origins and behaviors of our most famous monster legends. Bill Sullivan is a Professor of Pharmacology & Toxicology and Microbiology & Immunology at the Indiana University School of Medicine. He earned his PhD in Cell & Molecular Biology from the University of Pennsylvania in 1997 and has done work at Eli Lilly and the United States Army Medical Research Institute of Infectious Diseases. He started his academic career at IUSM in 2003, where he studies parasites and lectures about microbiology and anti-infective drugs. Dr. Sullivan has published over 60 research papers, but perhaps his most accessible article was in the September issue of Scientific American, called “Played By A Parasite”. Dr. Sullivan is a strong advocate of science outreach. 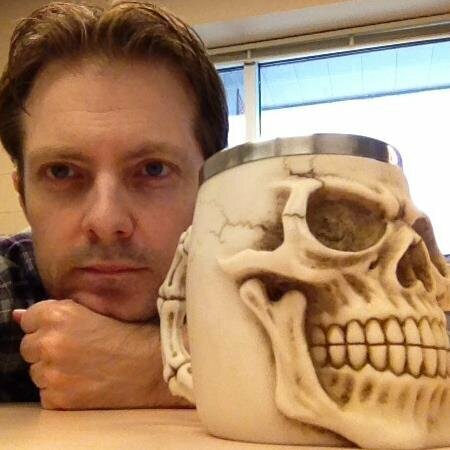 In July 2014, he co-founded a science and pop culture blog called THE ‘SCOPE that has amassed over 80,000 reads so far and enjoys guest lecturing at elementary and middle schools to demonstrate how important and exciting science can be.